Answers to Everyday Questions : Does my ability to play the guitar help me to learn to play the piano? It probably wouldn’t be that hard for you because you already know how to read music and play one instrument. I played clarinet and after two years I started playing the tenor saxophone, and learning the saxophone was really easy for me. Well, I started on piano and then switched to guitar, but I figure that it can’t be TOO different. To be honest, it isn’t that helpful. The only helpful part is that you know how to sight read and read notes. In additon, both guitar and the right hand of piano are in treble clef so that should make it easier. If you really want it though, go for it! You seem to be musically inclined so you’ll probably have a hard time getting started, but an easy time playing itself. Good luck! I started out playing guitar and then went to piano. I got it down faster than other people that started on piano at my age. I think playing one instrument will help you with almost all because you already have the basics ingrained in your head. Where piano is generally more difficult to play than guitar and its quite a difference from strings to percussion (yes piano is percussion, though some may argue strings……either I suppose) you will still have that experience of hearing notes and moving your hands to form them. Just take it slow. Youll get the hang of it soon enough. Its a fun instrument once you get past the basics of note formation. Yes, being able to read music puts you a step ahead of most beginners plus you understand the idea of hand-eye coordination. If you are learning chord method you will find a lot of similarity in the hand positions. Dude, we’re opposites… I played piano for a while and gotten far good on it. now, i’m learning Guitar for a month. Hmm…. as experience, it really isn’t that hard to learn guitar as long as you know the basic foundation of music- Music theory, everything will go with ease. 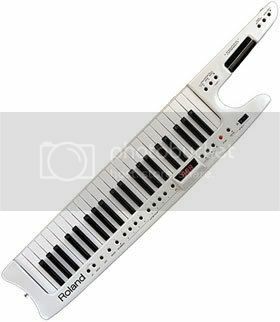 for example(this help me alot for making leads on my guitar), when executing a scale, the distance of the frets from each other on the guitar, is the same as the distance of the keys(including both white & black keys) on the piano and so on…..